Mark Szabo has been a part of the Vancouver indie scene since the early 90’s. 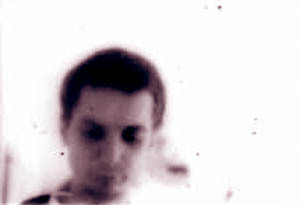 He appeared on a recording with Carl Newman, Blaine Thurier, and Dan Bejar of the New Pornographers, under the title Thee Crusaders back in 1992. He was a founding member of Good Horsey, and Capozzi Park up until they played their last show in March of 2002. Now, after 5 years away from the stage, his song writing is now being brought back into the light of day by former Capozzi Park comrade Marcy Emery (also of Choir Practice), along with Bejar and others under the title Heartbreak Scene, and their just released album The Szabo Songbook, on Fayettenam Records. The fact that such indie-pop luminaries as Bejar and Newman promote Szabo’s song writing is impressive, but it would do more for those of you reading this post if you actually listened to some of it. So I suggest you check out some of it, either by listening to Alibi and Love Outside Movies here, or alternatively for those of you who are opposed to downloading music, check out the Heartbreak Scene Myspace page.